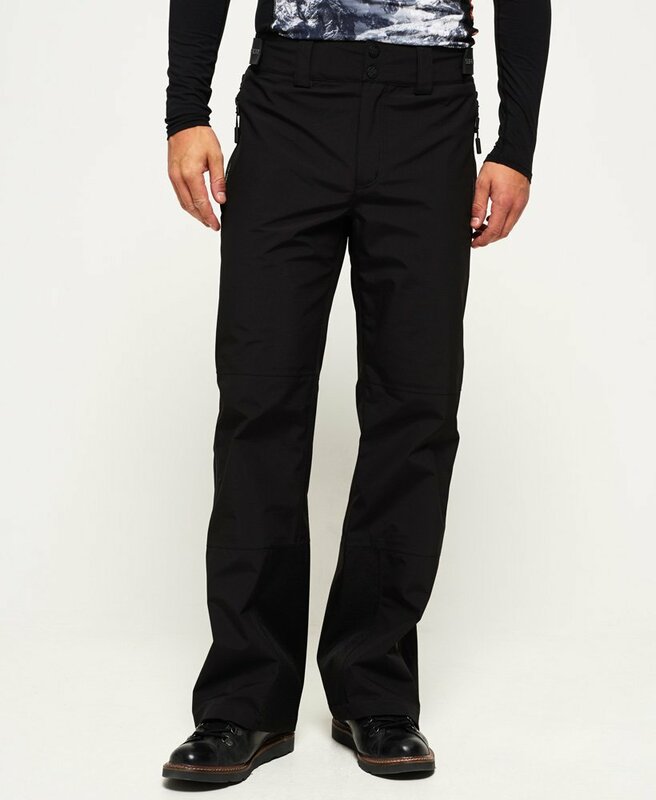 Superdry men’s Base Jumper pants from the Superdry Snow Sport collection. The Base Jumper pants come with a zip and popper fastening, hook and loop waist adjuster straps, boot clips and extendable lower leg sections to fit over your boots. The pants also feature a full insulated lining combined with fully taped seams and full length, two-way zip fastening down the side of the legs to provide ventilation when needed. The Base Jumper pants have two front zip fastened, mesh lined pockets and are finished with a rubber Superdry Ski logo tab on the back.